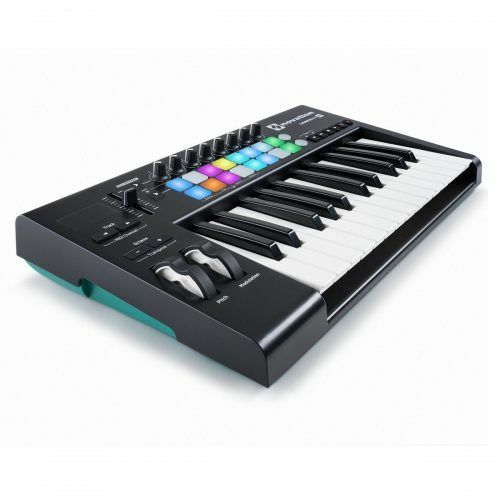 The Novation LaunchKey 25 MK2 MIDI Controller Keyboard is the all-new MK2 version of Novation’s popular USB keyboard controller for Ableton Live. Featuring 25 synth-action keys, 16 velocity-sensitive RGB pads, 8 knobs, and a wealth of bundled software including Ableton Live Lite and Novation V Station, this comprehensive DAW control surface is the ultimate instrument for performing musicians and studio producers. The heart of any MIDI keyboard controller is the keyboard itself. The Launchkey 25 synth-style keyboard is lightweight, fast and very easy to play, but also velocity-sensitive so you can create truly expressive performances. Launchkey 25 lets you shape your sound however you like. The eight rotary knobs are rock solid, designed to give you confidence when tweaking your instruments and effects. The 49 and 61-note versions give you hands-on control of your mixer too, with nine dedicated faders. However many controls you opt for, they will all integrate seamlessly and immediately with Ableton Live, and can be reassigned to anything. Your choice of music software is crucial to your creativity. 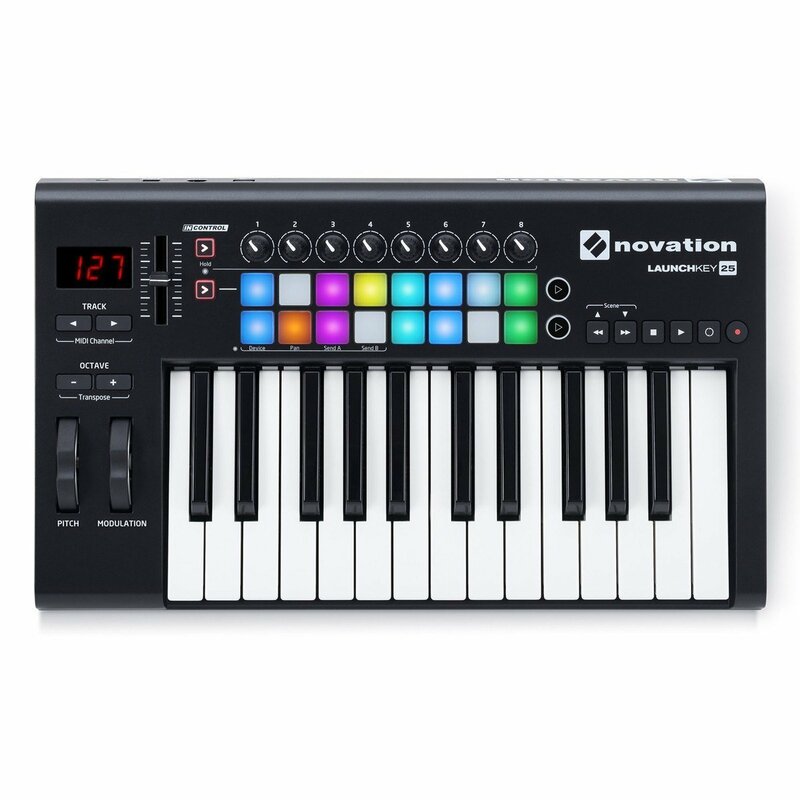 Although designed for Ableton Live, Launchkey 25’s pads, buttons, faders and knobs take control of all other major music software too using InControl. Launchkey 25 is fully USB bus-powered and class compliant, so it works straight away without power supplies or drivers on Mac or PC. It also comes with everything you need to start making electronic music.